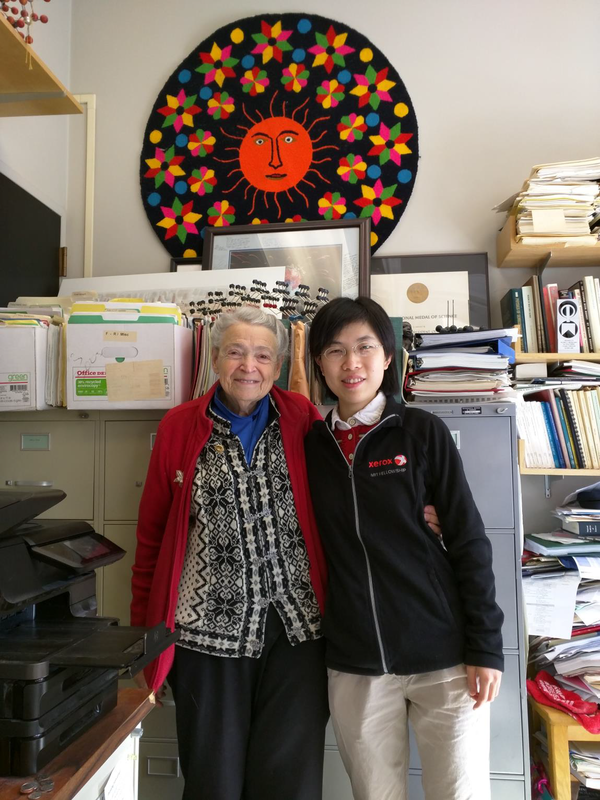 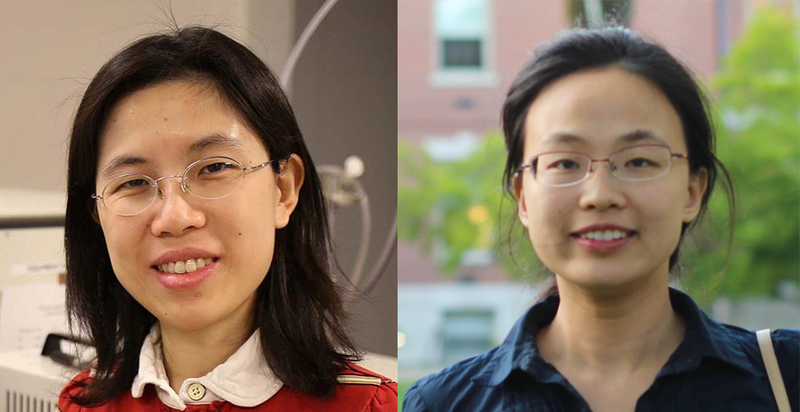 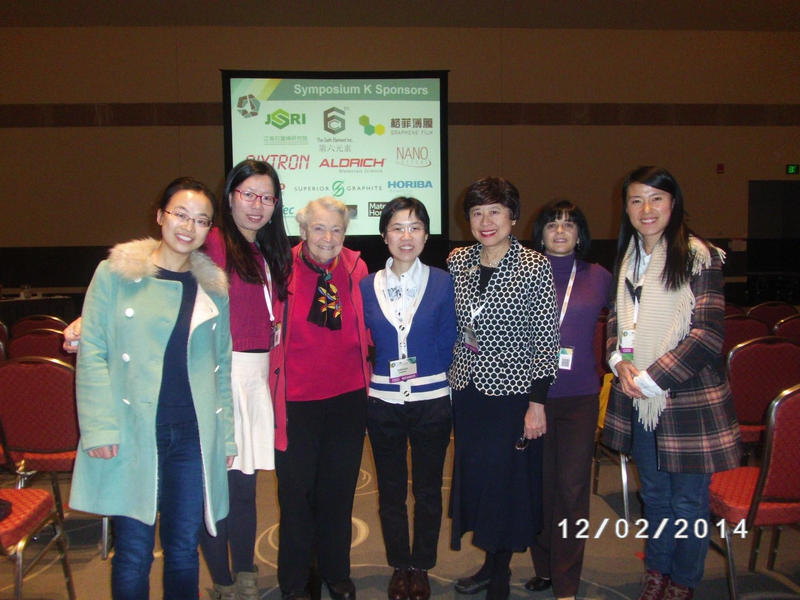 Shengxi Huang (PhD 2013) and Lin Zhou (Postdoc 2014-17) write about Millie's influence in the lab, on trips and conferences, and in the MGM group overall. Millie worked every day, despite holidays and weekends. 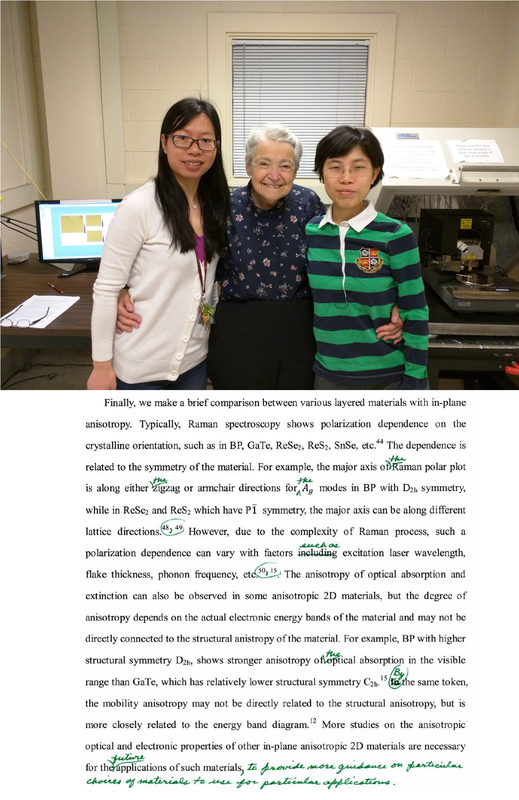 She liked to talk with us in the lab and office, and help us with papers. 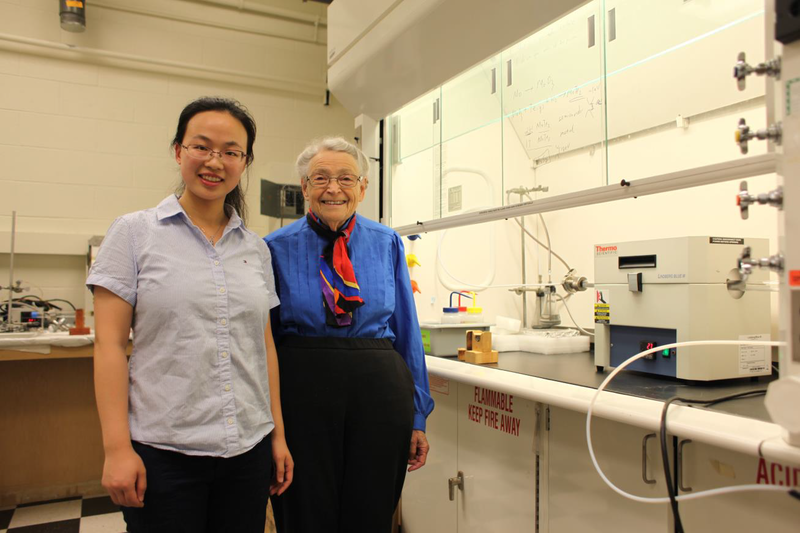 Millie and I took a photo in the CVD synthesis lab. 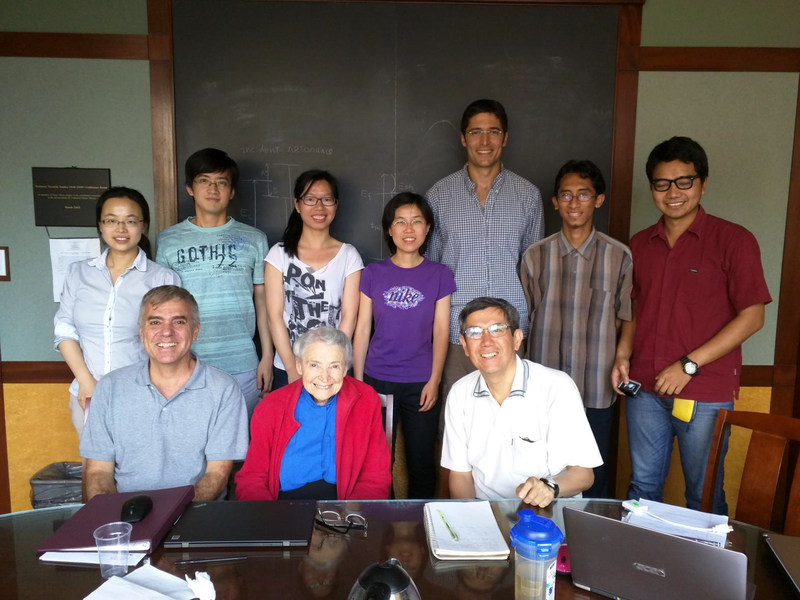 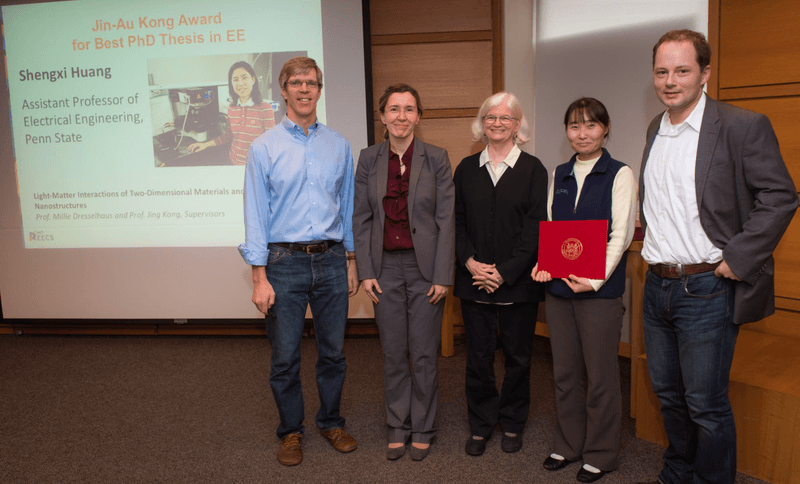 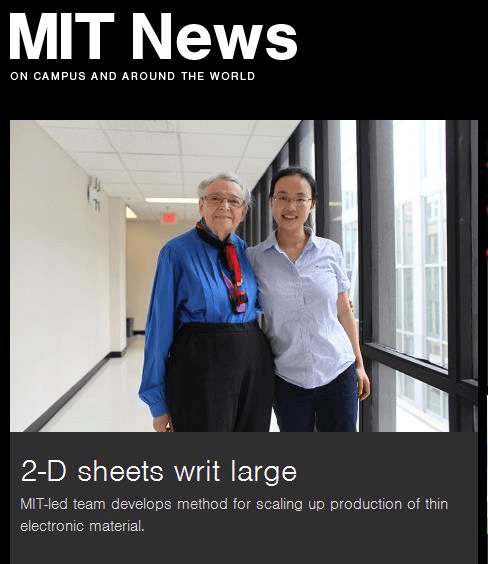 Under Millie’s supervision, I was awarded the Jin Au Kong Thesis Award at MIT EECS. 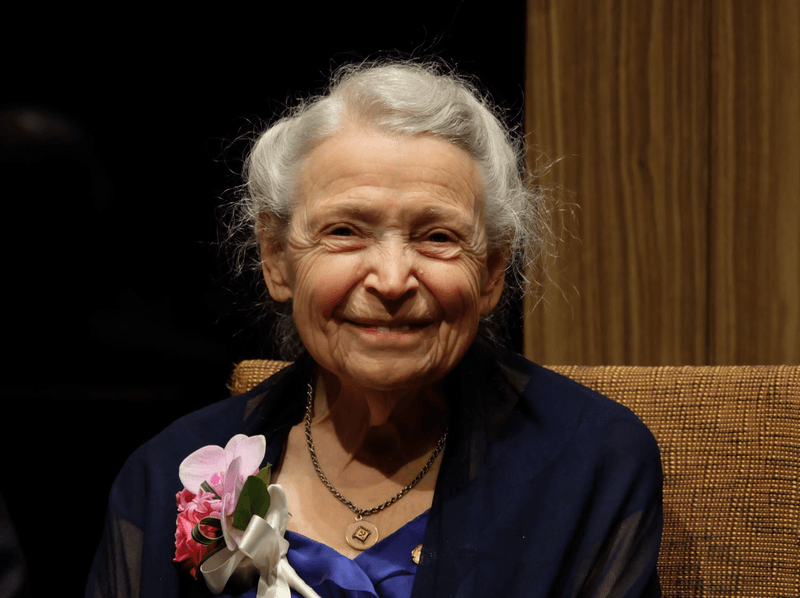 I wish she could see this! 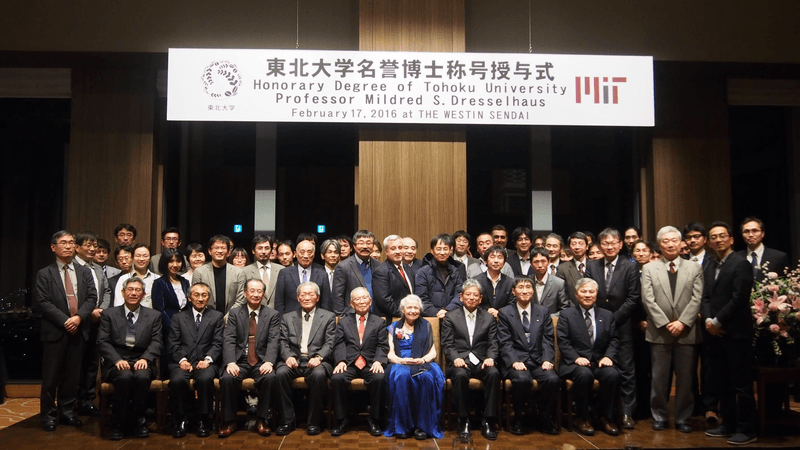 Millie and I attended the ceremony of her honorary degree of Tohoku University in Sendai, Japan, 2016. 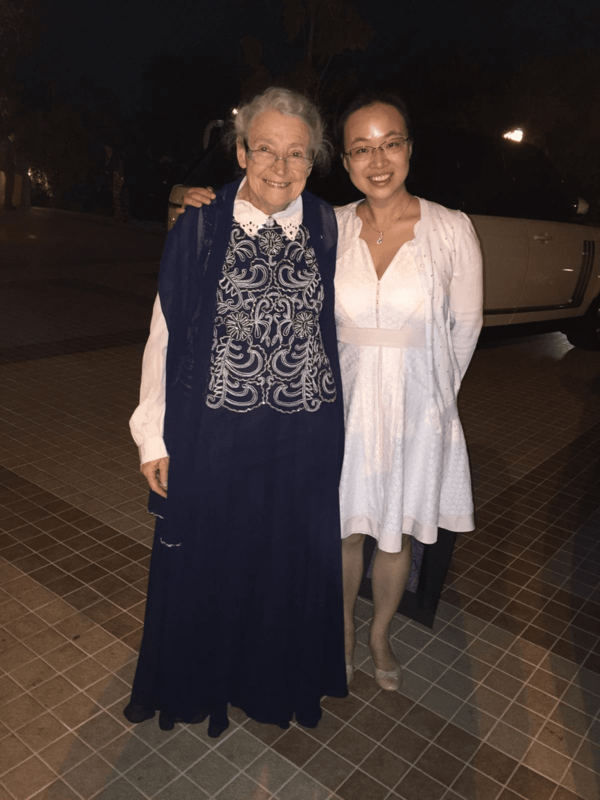 Millie and I attended the banquet of IWAN 2016 in Ras Al Khamiah.